Manila, Philippines -- Discover a man's failure that led him to his greatest achievement, by watching this moving story of a modern and very human take on the life of St. Ignatius of Loyola, the founder of the Jesuits, often called "The Saint of Second Chances". As a brash, hot-headed soldier in a time of political upheaval in Spain, the young Iñigo went from living a life of brutal violence and debauchery, to becoming one of the greatest saints in the history of the Church. This film chronicles Iñigo's torturous struggle to turn from darkness to light—a struggle that nearly destroyed him, but also gave him the key to a spiritual weapon that continues to save lives to this very day. 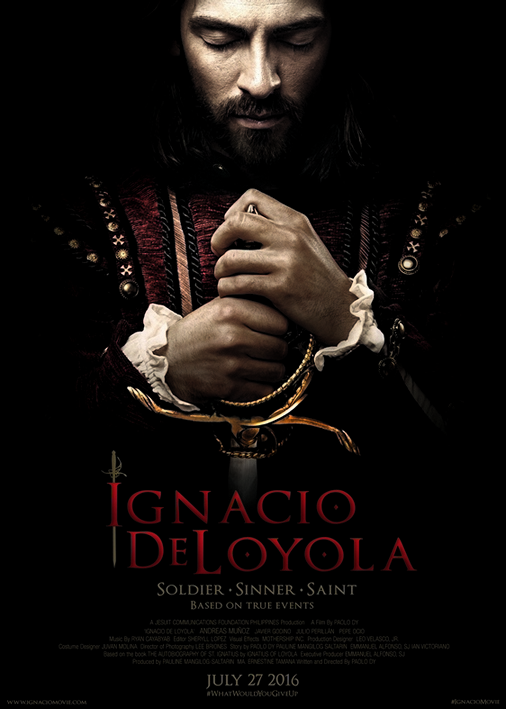 Produced by Jesuit Communications Philippines (JesCom), IGNACIO DE LOYOLA was shot on location over two months in Spain. This movie stars: Andreas Muñoz, Javier Godino, Julio Perillan and Pepe Ocio, with the music coming from Mr. Ryan Cayabyab,and the genre is Drama and History. 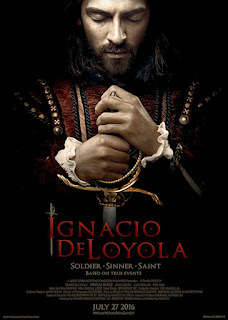 Ignacio De Loyola will be showing in cinemas beginning July 27 from Solar Films.